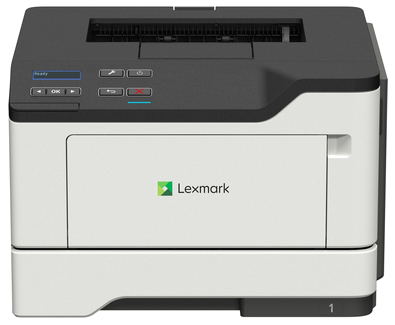 Robust and reliable, Lexmark printers are built to work anywhere, from showroom to warehouse with few interventions. Keep going with long-life components and replacement cartridge yields of up to 3,000 pages**. Lexmark's comprehensive approach to product security is a design and engineering mandate across our entire product portfolio. Our security features help to keep your information safe - in the document, on the device, over the network and at all points in between. That’s why Keypoint Intelligence - Buyers Lab honoured Lexmark with a prestigious BLI PaceSetter award for Document Imaging Security***. And this Lexmark product enables you to be GDPR ready.